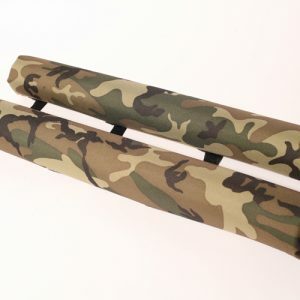 Tailgate Tie Down Pad 18 inch. 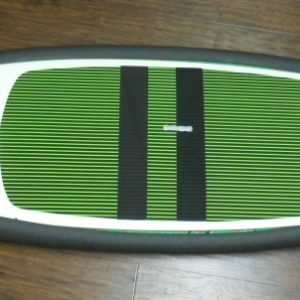 Perfect for longboards. Discreet non logo tailgate pad. 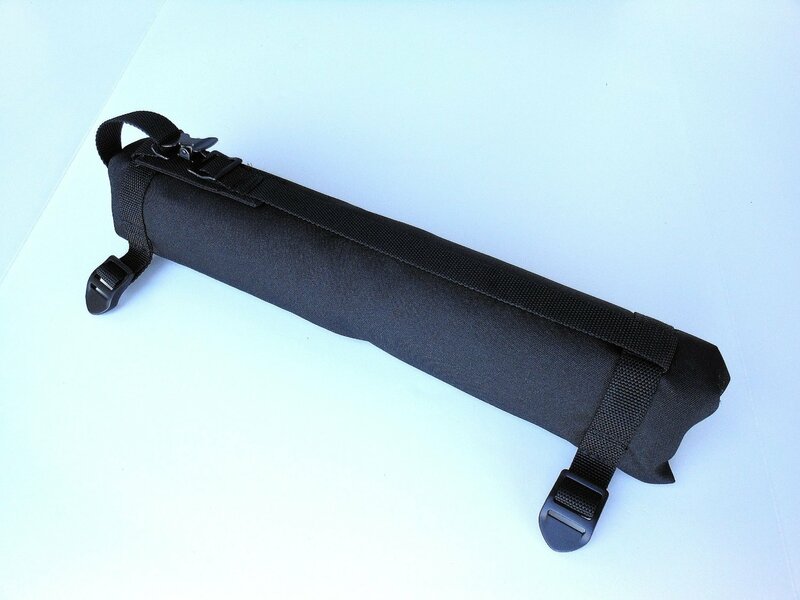 Black non fade 600 denier cover with 1 inch webbing tie down straps, metal webbing clamp and a 2 inch webbing protection tab. 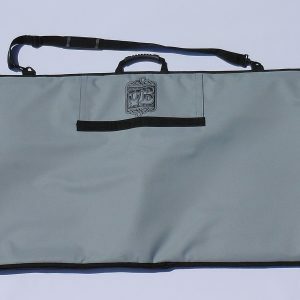 The tailgate pad attaches to your tailgate with two straps and two buckles. Fast and easy to use. 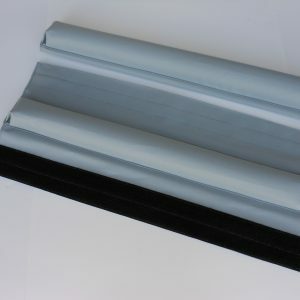 Additionally a thick foam pad protects your tail gate and surfboards from scuffs and scratches. 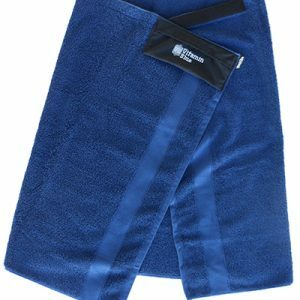 Furthermore the Vitamin Blue tailgate tie down pad is the ideal solution for carrying one to two longboards in the bed of your truck. Also it can to carry ladders, lumber, or any other elongated items that you might have. 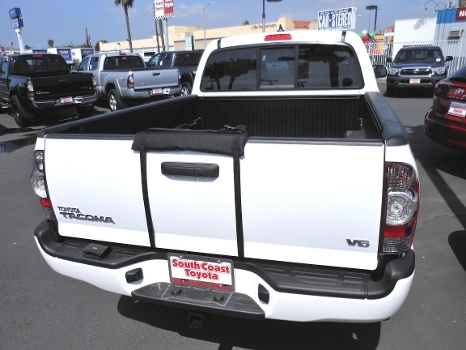 Will fit tailgate tops up to 4 inches thick. Made at our factory in Costa Mesa, California. 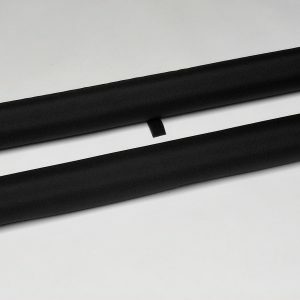 We also offer a 27 inch long tailgate pad.